Since assuming office, the Trump administration has cut regulations and signaled its openness to huge tax cuts for the super wealthy. CEO and other emissaries of American corporations started filling up advisory councils, meeting with the administration in public — and in secret. Trump’s own public schedule in the spring included regular roundtable meetings with CEOs intended to project an image that Trump was serving businesses interests while in government. Workers, communities, the environment and the public welfare were largely left out of Trump’s day-to-day work in any meaningful way — he spouted rhetoric about restoring jobs but didn’t do much to make it happen. The big corporations he courted mostly ignored his repeated attacks on Muslims, immigrants and the environment, tacitly standing by the President’s rhetoric in the hope that they could use their access to advocate for policies and regulations that they wanted. Trump’s Charlottesville response, and the corporate revulsion that followed, marked the first widely publicized break of big corporations from support for the Trump administration. 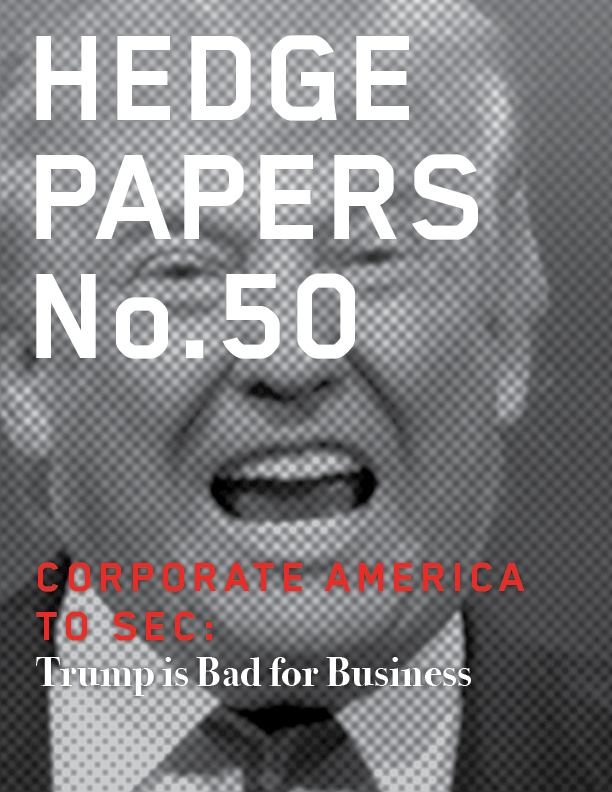 But SEC filings reviewed by Hedge Clippers demonstrate that many leading American corporations had previously acknowledged to their investors that Trump would be bad for business. Our review of SEC filings was designed to help Americans understand how big, publicly traded corporations assess the impact of Trump’s policies on the economy and on their companies. Since corporate communications with the public through CEO statements or press releases have often been opaque, and sometimes geared toward not offending Trump, we examined the 10K forms that companies must file with the SEC to inform investors or potential investors on their businesses. SEC Form 10-K is a yearly report filed by every publicly traded corporation and many private companies with significant assets. These reports include information many corporations would never put into a press release, including problems and vulnerabilities for businesses due to social or political events. The Hedge Clippers research team reviewed all 10K forms filed with the SEC since the 2016 election and searched for any references to the Trump administration. References were then coded based on whether the filing suggested that Trump and his proposed policies would be positive, neutral or negative for the company. Overall, the data showed a consistent trend – corporate America is wracked with uncertainty and fear over President Trump’s economic agenda. 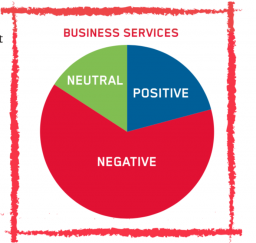 Half of all companies said Trump was bad for business, and eight out of ten companies were negative or neutral. Only 53 (13.95%) companies indicated that the Trump Administration’s policies would benefit their business. A notable business expressing positive hopes for the Trump Administration is Icahn Enterprises, a holding company owned by Carl Icahn. Icahn’s controversial role as a formal advisor to Trump on regulatory policy was the subject of a recent bombshell expose in The New Yorker and may be the subject of investigation by government ethics and lobbying regulators. Icahn has benefitted extensively from President Trump; Carl Icahn has exploited his insider status and knowledge as an advisor to President Trump for self-interest, influencing credit prices to increase the profits of his company, CVR energy. Additionally, Icahn influenced Trump to alter biofuel laws in ways that would benefit Icahn’s oil refinery. His actions present a clear conflict of interest in his role under President Trump’s administration. Interestingly enough, companies such as private equity giant Blackstone were decidedly ambivalent about the consequences of a Trump Administration on their business, stating that they have no idea of what policies Trump would implement. It seems that Blackstone told the SEC one thing, while its billionaire CEO, Stephen Schwarzman, the former chairman of Trump’s now-disbanded Strategic and Policy Forum and a member of his also-disbanded business advisory council, was telling Trump and the public a completely different story. Contrary to the company’s filings, Schwarzman himself seems to have high hopes and expectations for the economy (if not a direct influence on it himself), saying he was “bullish on Trump’s effect on the economy” and predicting “‘higher growth rates… and a stronger dollar” in the United States. 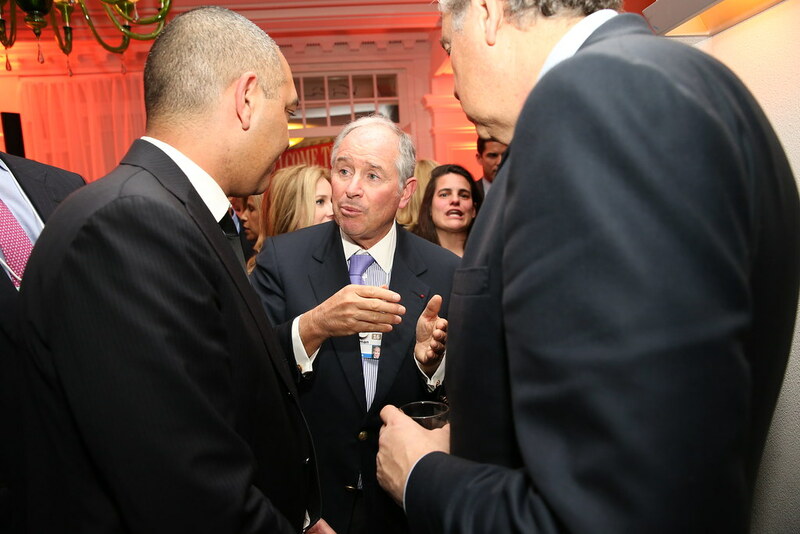 Far from being a passive recipient of Trump Administration policies, Schwarzman seems to be exerting a significant amount of influence over a wide range of economic and political decisions, such as discouraging Trump from being tough on China in order to alleviate risk from Blackstone’s profits. In fact, Schwarzman has advised Trump on many issues, ranging from foreign policy to management structure inside the White House, to his upcoming plan for tax reform. According to the NY Times Blackstone was awarded the Saudi Arabia infrastructure fund after he started advising President Trump. The decision was announced in the royal palace in Riyadh as Donald Trump and Jared Kushner looked on. The conflicts of interest posed by Schwarzman stand in direct contrast to SEC filings that say Blackstone has no way of predicting Trump’s economic and regulatory policies. Some companies, including Schwarzman-run Blackstone, expressed worry over Trump’s indecisive back and forth stance on closing the carried interest tax loophole, which allows private equity firms to make millions. If federal, state or local legislation to treat carried interest as ordinary income rather than as capital gain for tax purposes were to be enacted, we and possibly our unitholders would be required to pay a materially higher amount of taxes, thereby adversely affecting our ability to recruit, retain and motivate our current and future professionals. 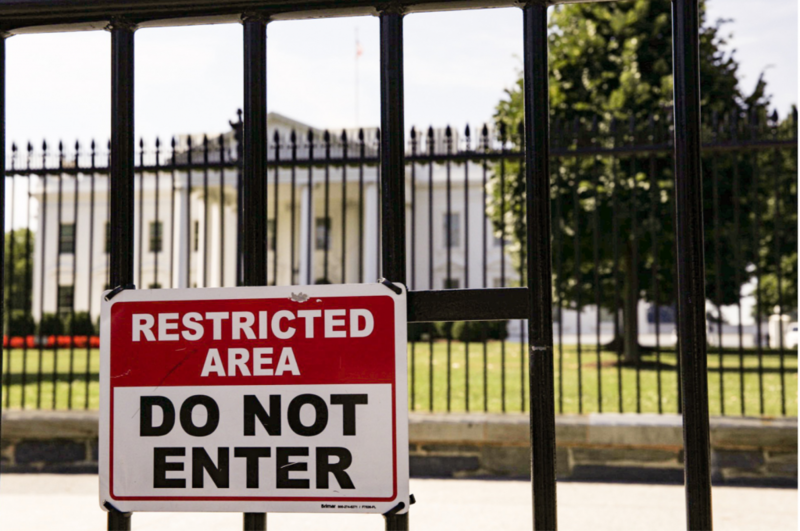 Wall Street’s influence inside the Trump administration and Schwarzman’s counsel may help explain why the Trump administration has been signaling that they are not going to be closing the carried interest loophole. Many of the companies that viewed the Trump Administration neutrally largely stated that it was too soon to predict the impact that the presidency would have on their companies. Companies that indicated neutrality towards the Trump Administration were varied, with 7% of companies comprising the list representing crude petroleum and gas companies, 9% representing pharmaceutical manufacturers, 8% representing commercial banks, 8% representing life insurance companies, and 8% representing Real Estate Investment Trusts (REITs). 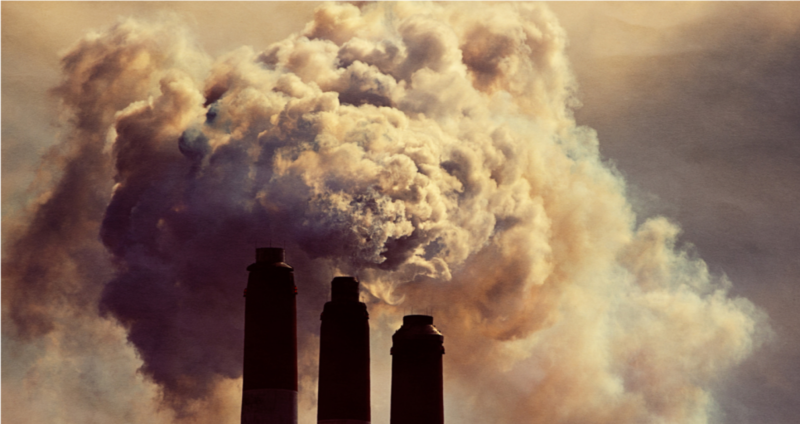 Companies in the petroleum and pharmaceutical industries expressed uncertainty over President Trump’s future policies concerning environmental measures and the Affordable Care Act, respectively. 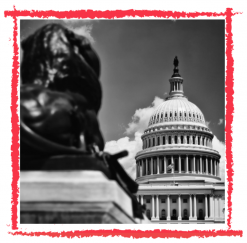 Companies in the financial industry were unclear about the tax reform that the Trump Administration is planning to undertake, and furthermore, were unsure of his stances towards carried interest tax loopholes and other financial regulatory issues. The Trump administration far right social and economic policy are a huge threat to the larger economy that even corporations are starting to acknowledge when they need to be candid to their investors. While Trump ran on a platform to help the working class, his policies have largely focused on destabilizing the economic programs put in by the Obama administration and crafting policies that greatly benefit a few donors. The concerted campaign to undermine the Affordable care act is a cautionary tale about whether corporations are willing to stand up for what’s right even when it matches their interest. Many of the negative prospects in the 10-K’s dealt with the instability from repealing the healthcare law. While grassroots energy helped stop repeal efforts in the summer of 2016, the corporations that listed repeal as a significant impediment to their business across the economy stayed mostly on the sideline. That only began to change after business leaders left advisory committees formed by the White House after President Trump refused equivocated on denouncing White Supremacists in Charlottesville. If businesses are telling their investors that Trump’s immigration, health care policies are bad for their sector of the economy they should stop enabling these policies for a seat at the table. The Hedge Clippers are working to expose the mechanisms hedge funds and billionaires use to influence government and politics in order to expand their wealth, influence, and power. We’re exposing the collateral damage billionaire-driven politics inflicts on our communities, our climate, our economy and our democracy. We’re calling out the politicians that do the dirty work billionaires demand, and we’re calling on all Americans to stand up for a government and an economy that works for all of us, not just the wealthy and well-connected. Instead of draining the swamp, Donald Trump brought it into the White House. Members of Trump’s inner circle include Wall Street billionaires with a history of destroying jobs, harming working people, and protecting the wealthiest Americans at everyone else’s expense. Hedge Clippers unites organizations and movements to cut through Trump’s swamp, and blow the whistle on Trump’s advisors who put their own financial gain before the public good. We’re giving Americans the tools and infrastructure to fight, and win a multi-year battle against Trump’s agenda in Washington, and in states, cities, and towns across America.  The Hedge Clippers campaign includes leadership and collaborative contributions from labor unions, community groups, coalitions, digital activists and organizing networks around the country, including the the American Federation of Teachers, Strong Economy for All Coalition, New York Communities for Change, Alliance for Quality Education, VOCAL-NY and Citizen Action of New York; Make the Road Connecticut; New Jersey Communities United; the Alliance of Californians for Community Empowerment (ACCE) and Courage Campaign; the Grassroots Collaborative in Illinois; the Ohio Organizing Collaborative; ISAIAH in Minnesota; Organize Now in Florida; Rootstrikers, Every Voice, Color of Change, 350.org, Greenpeace, the ReFund America Project and United Students Against Sweatshops; the Center for Popular Democracy and the Working Families Party; the United Federation of Teachers and New York State United Teachers, the National Education Association, and the Communication Workers of America.